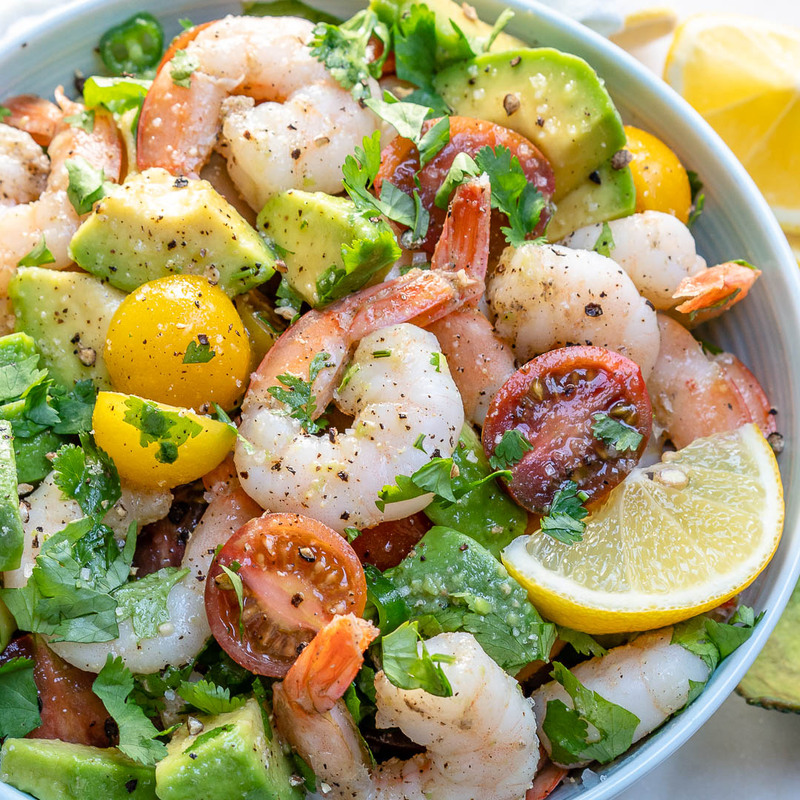 Eat this Lemony Shrimp + Avocado + Tomato Salad for a Clean, Protein Rich Salad! 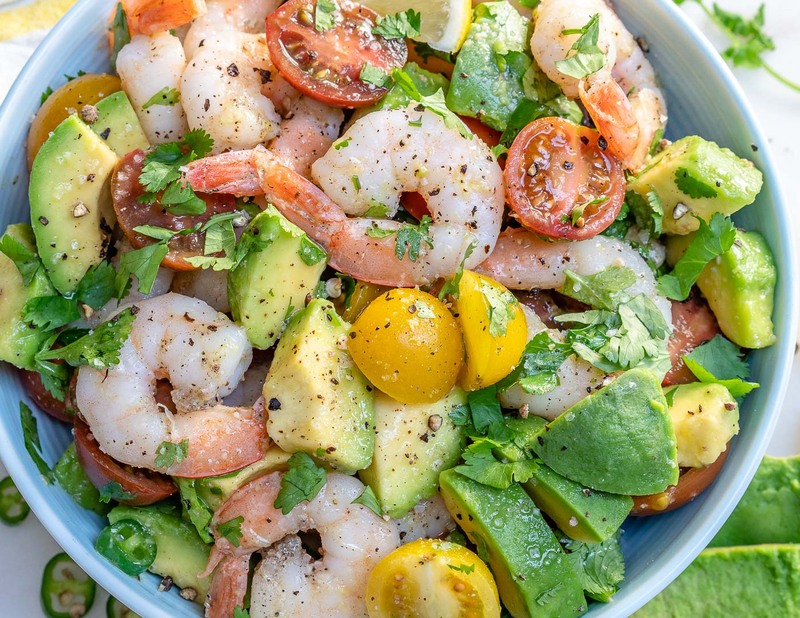 This SUPER FRESH tasting chopped salad has a good balance of protein and healthy fats to keep us satisfied for hours! 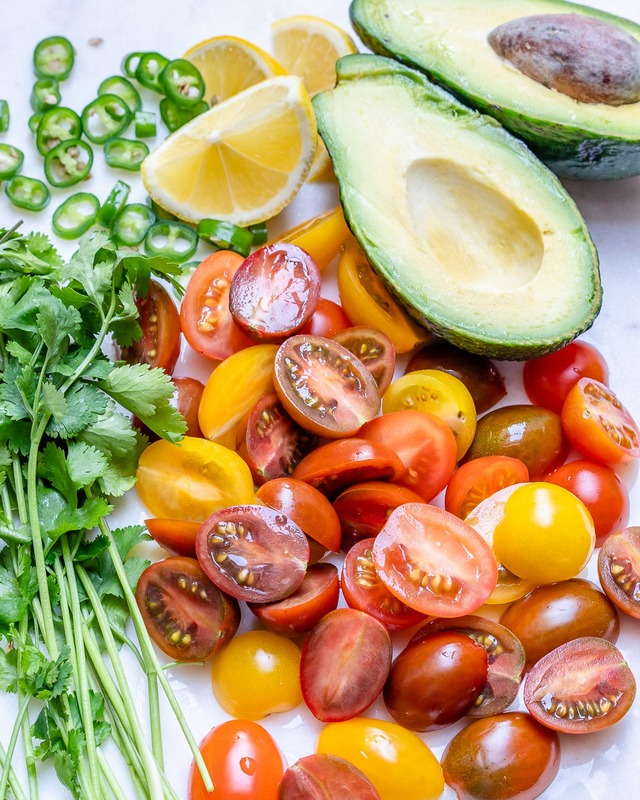 Use mixed colors of cherry tomatoes if you can to give this a really beautiful touch! 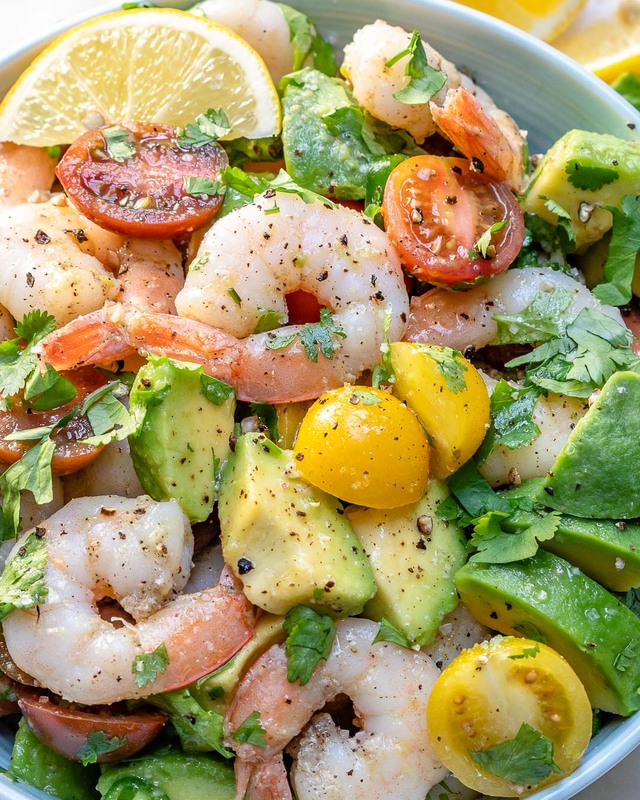 Think about doubling or tripling this salad recipe for your upcoming parties or get-togethers. 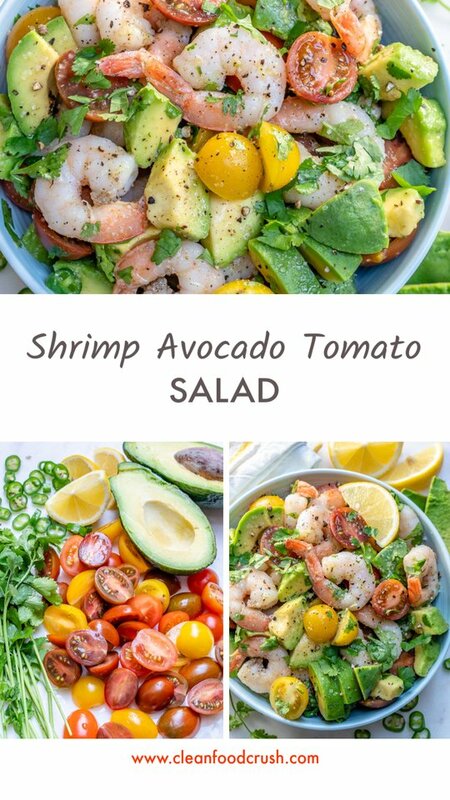 You can prep your salad ahead, it stays well in the fridge for a few hours, and flavors actually combine and blend even better after a few hours. Your avocado should stay nice and green for a while if it’s really coated in the lemon juice/oil mixture. Heat one tablespoon of oil in a large skillet over medium-high heat. Add shrimp, and minced garlic, then cook for 3-4 minutes, or just until shrimp turns pink and is no longer translucent. Season shrimp with sea salt and pepper to taste, remove from heat. 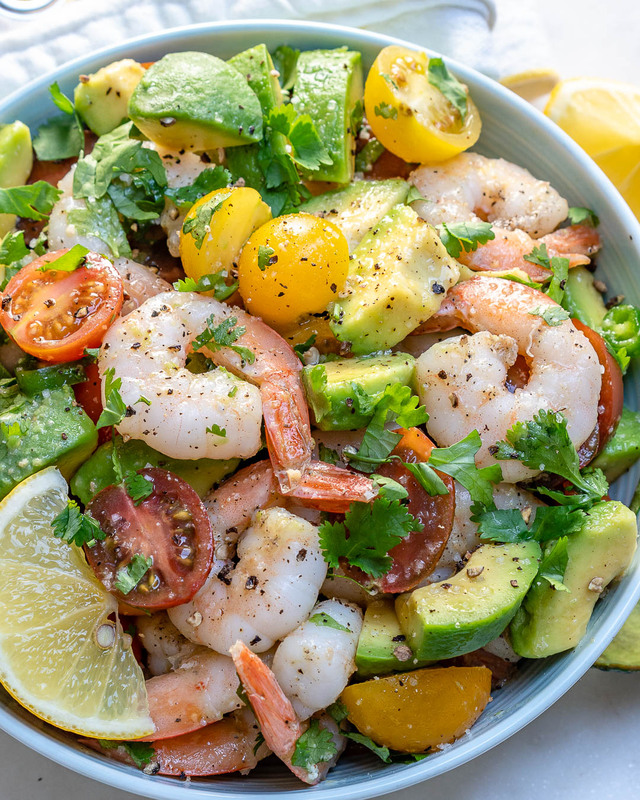 In a large bowl add cooked shrimp, chopped tomatoes, diced avocado, sliced chili, and chopped cilantro leaves. 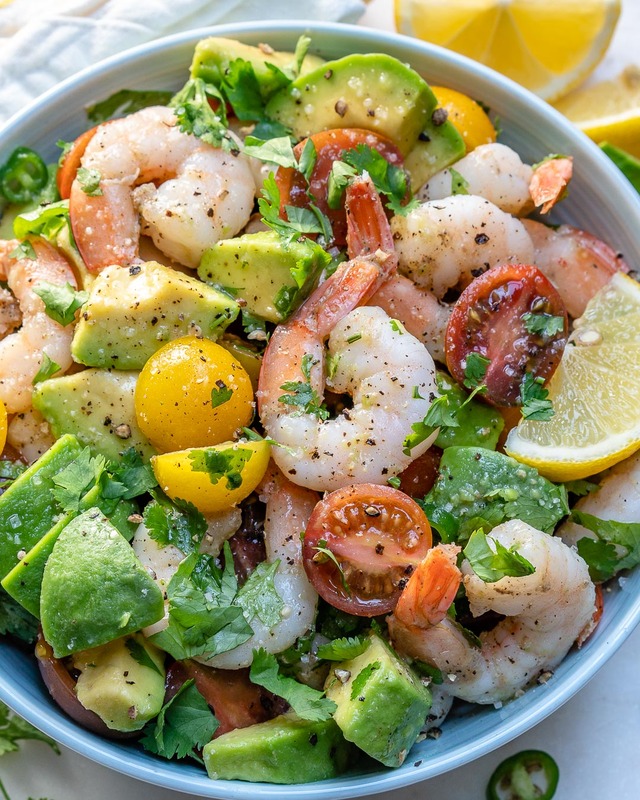 Drizzle with remaining 1 Tablespoon of oil and squeeze in your fresh lemon juice, add zest, then very gently toss to combine everything together. Adjust seasonings to your taste and enjoy! I prefer this salad eaten within a few hours of preparing, but it stays good in the fridge for a day or two. Heat one tablespoon of oil in a large skillet over medium-high heat. Add shrimp, and minced garlic, then cook for 3-4 minutes, or just until shrimp turns pink and is no longer translucent. Season shrimp with sea salt and pepper to taste, remove from heat. 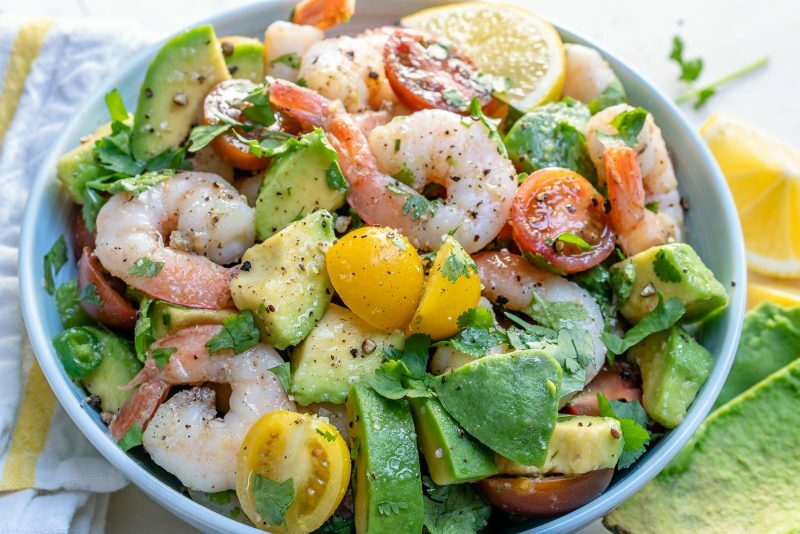 In a large bowl add cooked shrimp, chopped tomatoes, diced avocado, sliced chili, and chopped cilantro leaves. 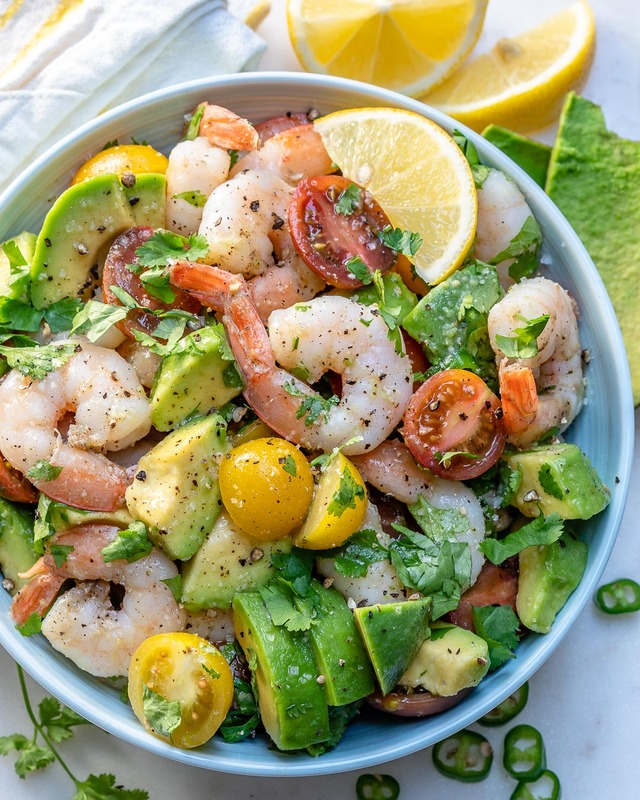 Drizzle with remaining 1 Tablespoon of oil and squeeze in your fresh lemon juice, add zest, then very gently toss to combine everything together. Adjust seasonings to your taste and enjoy! Adjust seasonings to your taste and enjoy! I prefer this salad eaten within a few hours of preparing, but it stays good in the fridge for a day or two.